BioBloom uses CO2 supercritical extraction: This exceptionally gentle method of extraction ensures that the entire natural wealth of phyto-chemicals remains intact. Organic Herbal Remedies Ltd is a retail member of the Hemp Trades Association UK. The Association ensure that member businesses trade legally and ethically in the Hemp market. 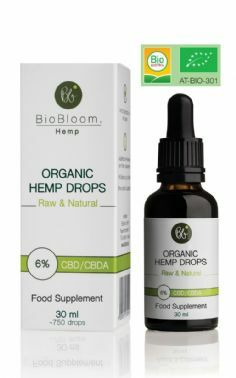 The hemp products we sell are classed as food supplements with only trace quantities ie less than 0.2% or zero of the psychoactive element and are legal for sale in the UK.